This statistic displays the distribution of product segments as a percentage of net sales for Conmed from 2015 to 2018. 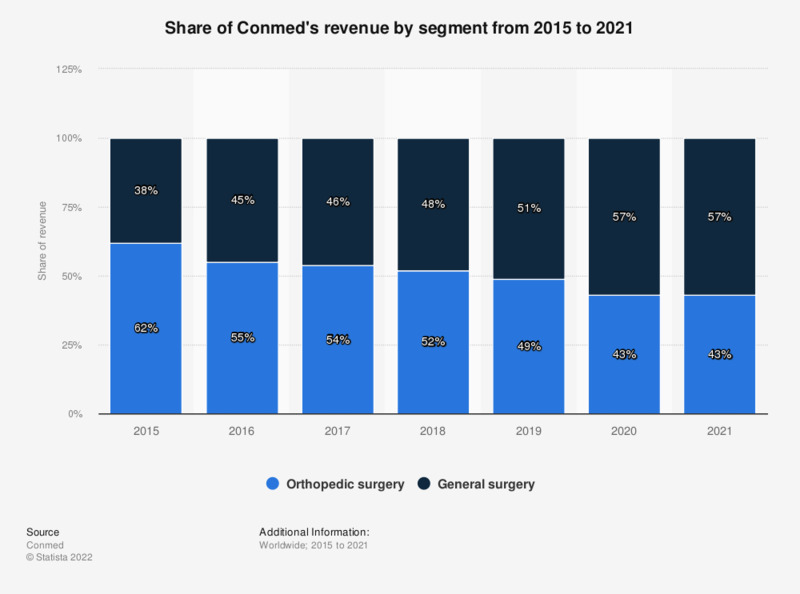 In 2017, orthopedic surgery products accounted for 54 percent of net sales. Conmed is a global medical technology manufacturer that produces and markets medical equipment across the healthcare continuum. The company's worldwide headquarters is in Utica, NY.